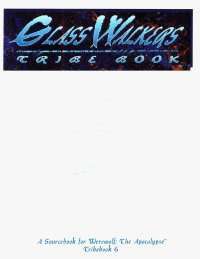 The sixth tribebook looks at the Glass Walkers, their rich legends and society. This heavily illustrated book reveals the story of the city wolves, from the time of the first wheel to the present-day computer era. Includes an 8 page comic book and 5 character templates.